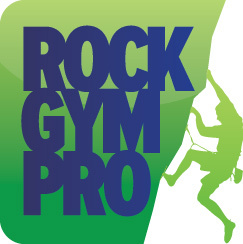 Rock Gym Pro gives you the ability to offer customers paperless digital waivers both online and at your gym. Once the digital waiver is completed the customer’s information will be automatically added and stored in the system. Here is how to add a new digital waiver in Rock Gym Pro. In the Data Entry main window click Manage and select Waiver Management / Stations to open the Waiver Management window. Waiver- Starter Template: This will use the standard Rock Gym Pro waiver with standard information filled in that you can then modify. When this form is completed it will check Waiver in the customer profile when accepted. Waiver- Empty: This will use the standard Rock Gym Pro waiver but with all fields empty. Policy 1: When this form is completed it will check Policy #1 in the customer profile when accepted. Policy 2: When this form is completed it will check Policy #2 in the customer profile when accepted. Other Form: This form will not change a waiver or policy status in the customer profile. Click the Step 2: Edit Form tab. Select the form sections required for your waiver. Click the Step 3: Preview Form tab to review the online view and waiver station view of the waiver form. Click the Step 4: Edit Document tab to edit the content of the final waiver. Click the Step 5: Preview Station Document tab to preview the final station document. Click the Step 6: Preview PDF Document tab to open a PDF of the form. Click OK to complete the form. The form is now ready to be published.